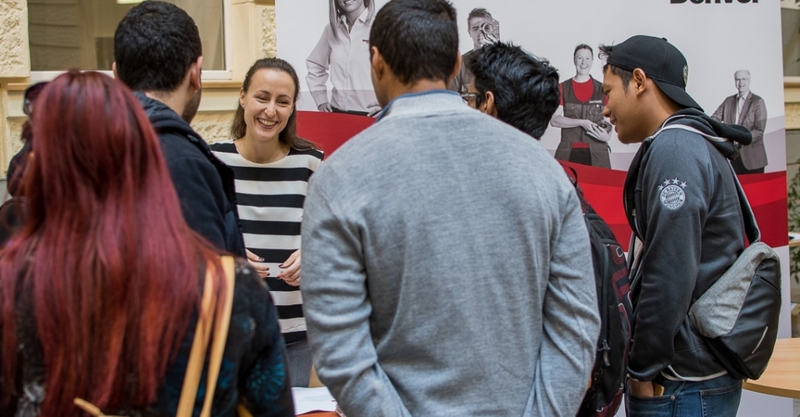 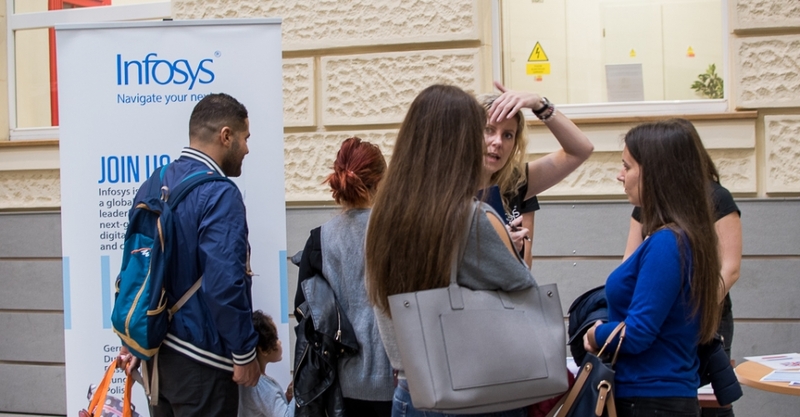 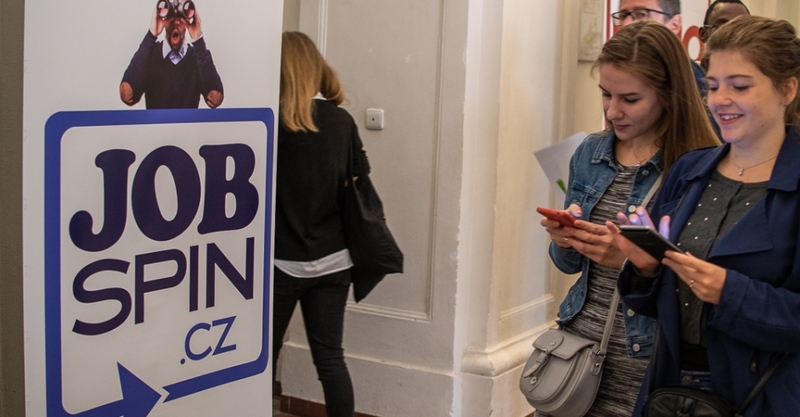 Over 450 multilingual job-seekers visited the JobSpin Multilingual Job Fair in Brno on Saturday. 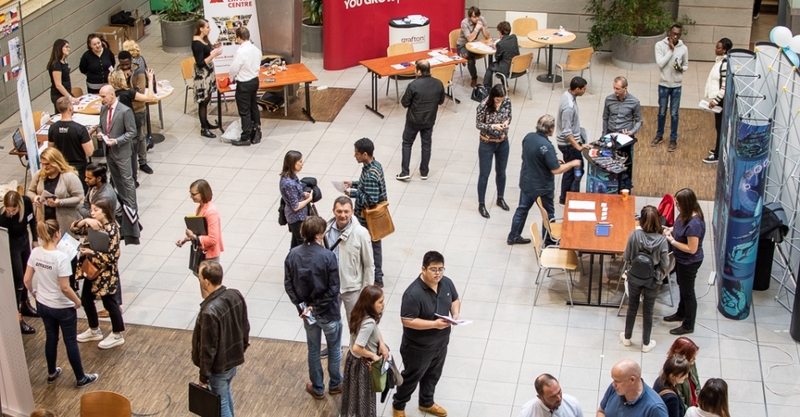 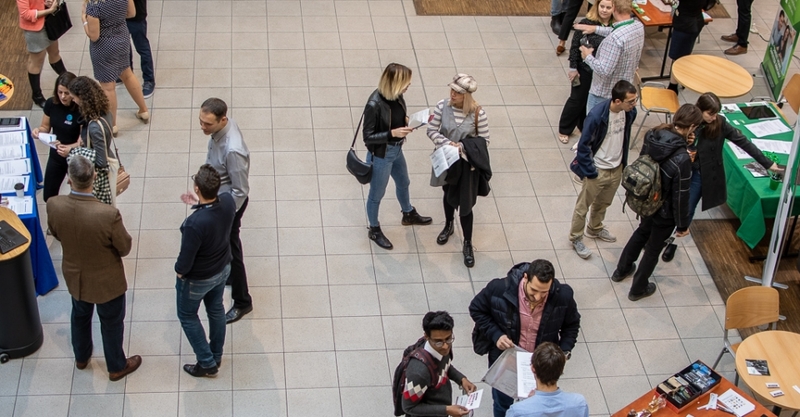 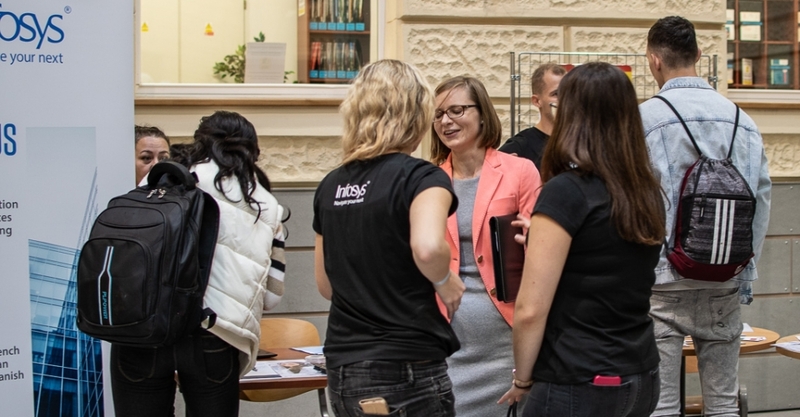 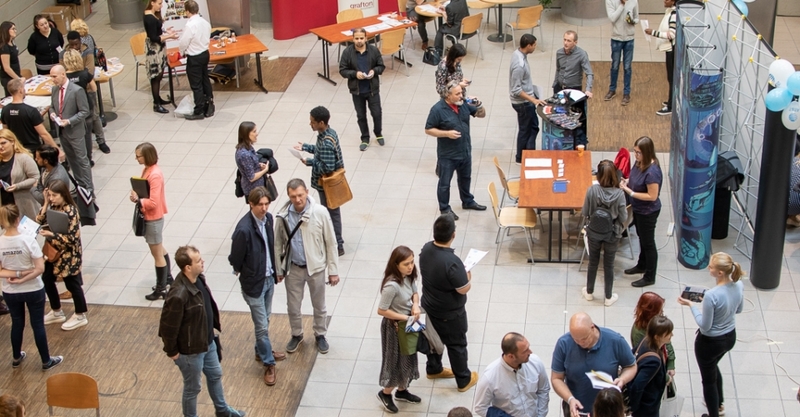 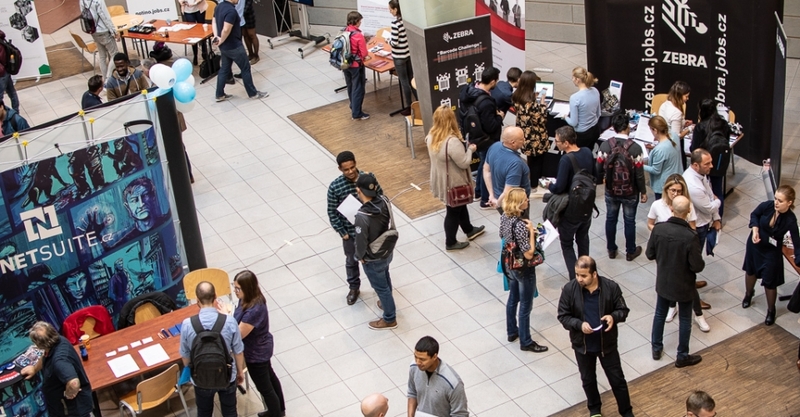 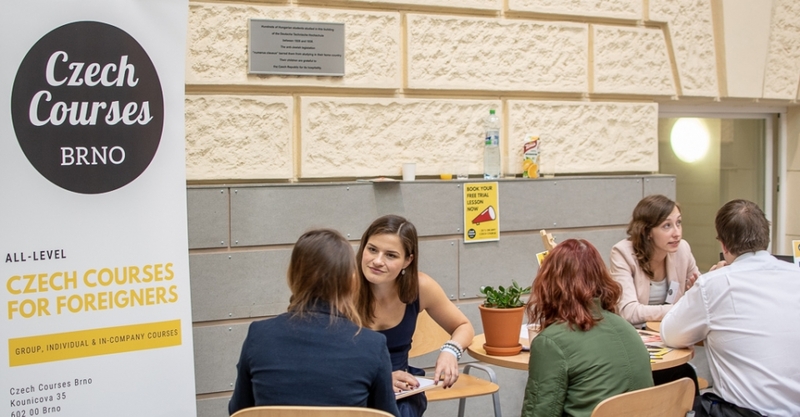 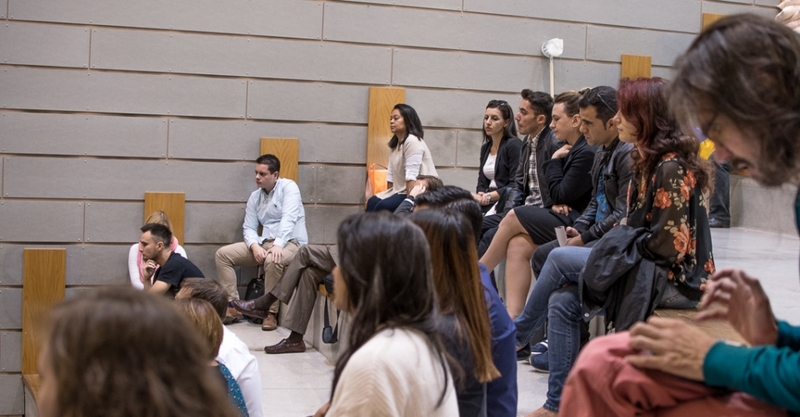 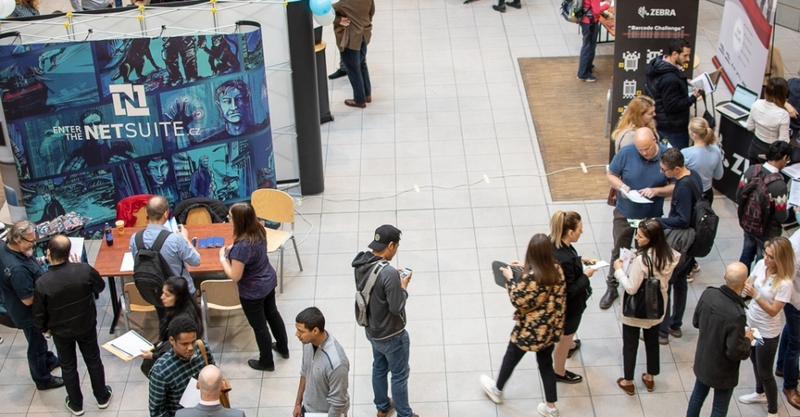 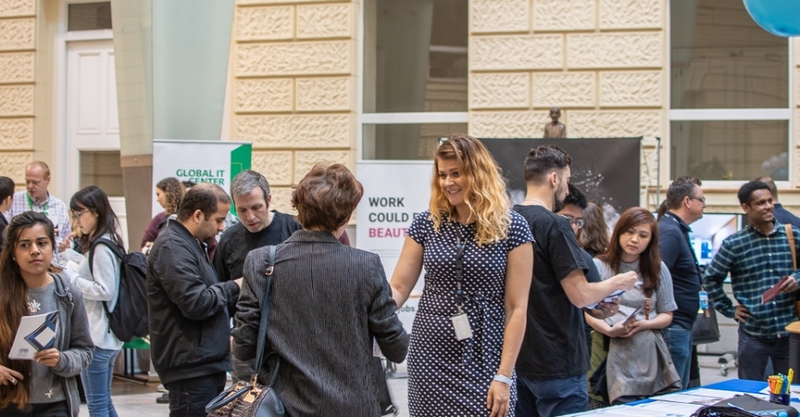 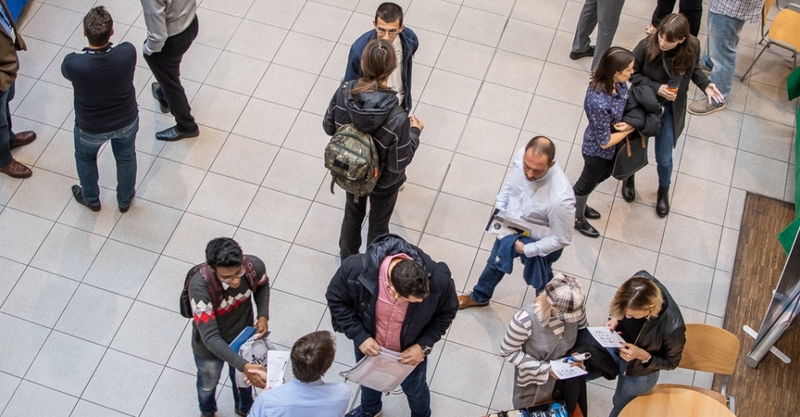 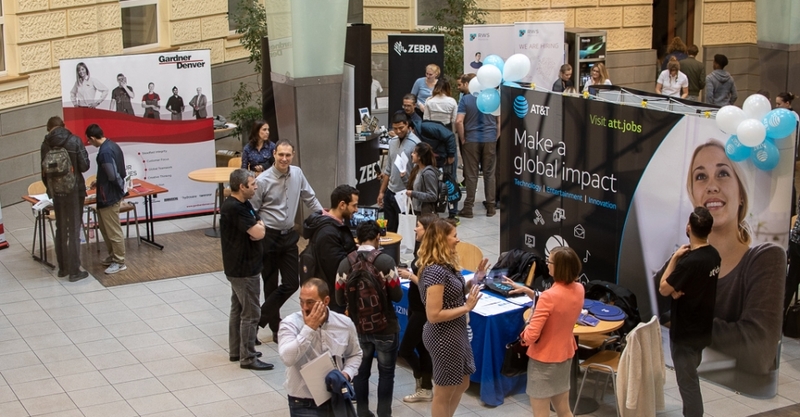 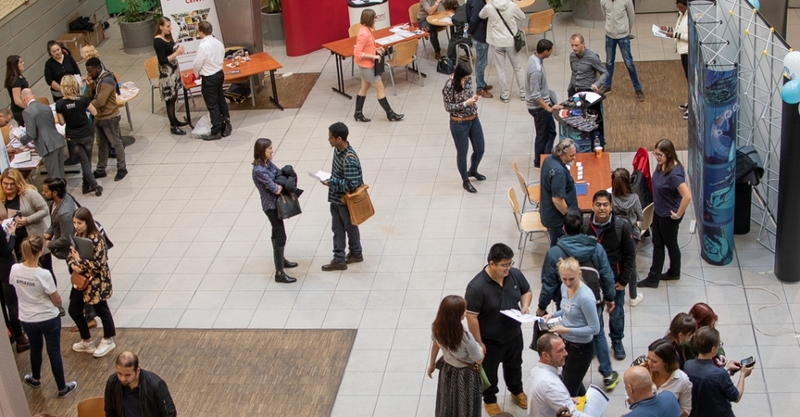 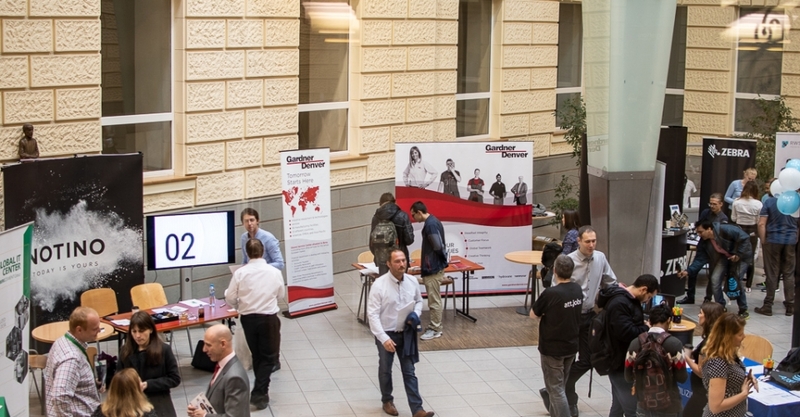 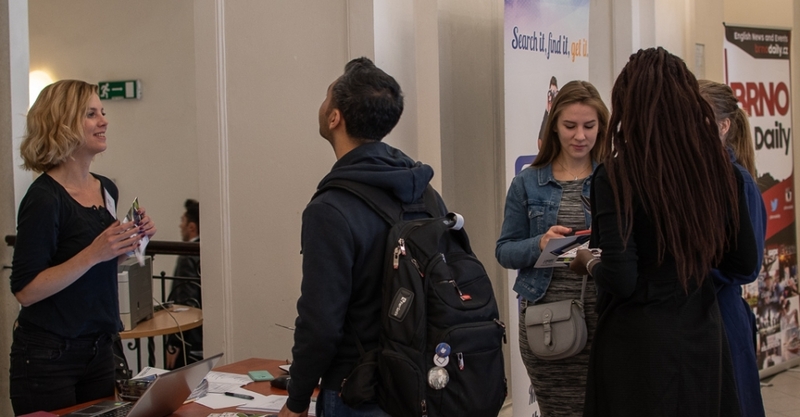 Masaryk University’s Faculty of Social Studies was full of visitors attending the job fair throughout the day. 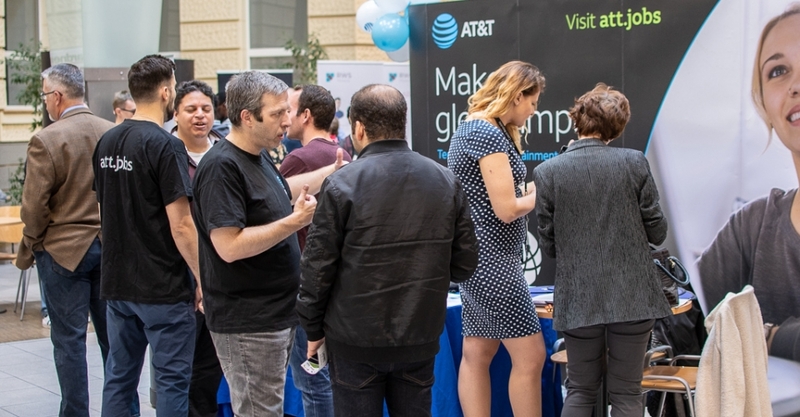 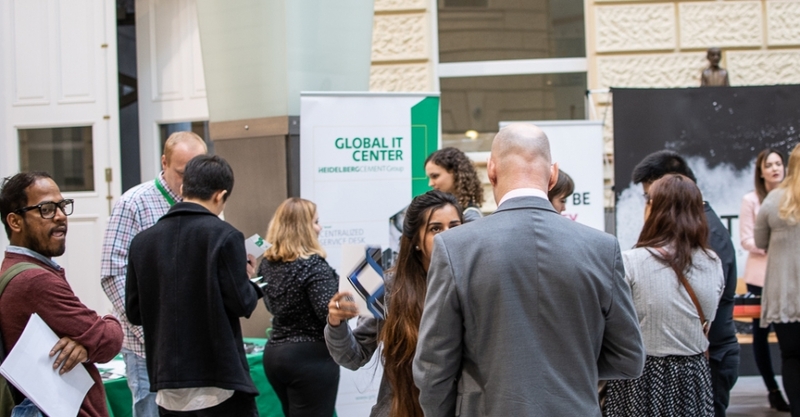 The very successful event was attended by job-seekers from every continent. 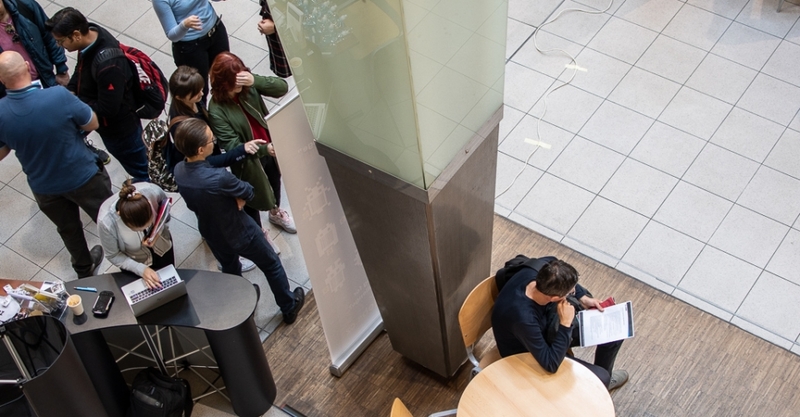 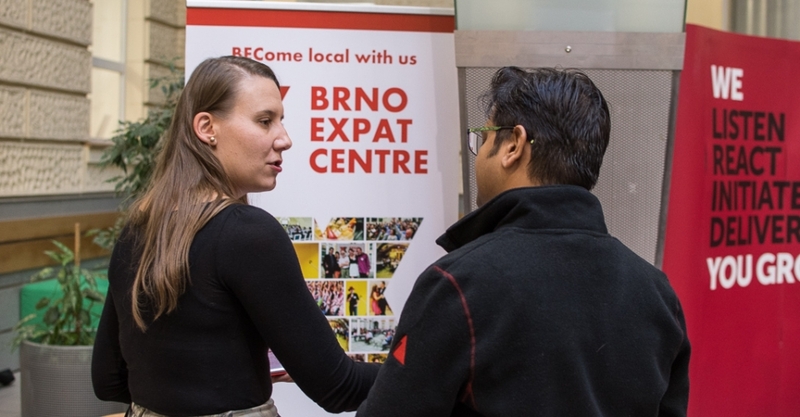 The majority of the job-seekers were from the European Union, namely Southern Europe, especially Italian and Spanish speakers looking to work in Brno. 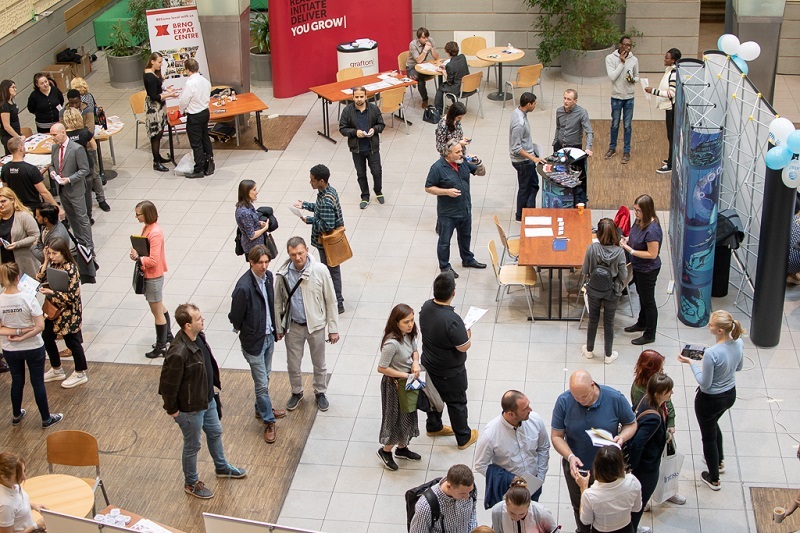 Many people with German or English as their first language were also present, alongside visitors from all over the world (Americas, Asia).  The visitor from the most distant place was Australian. 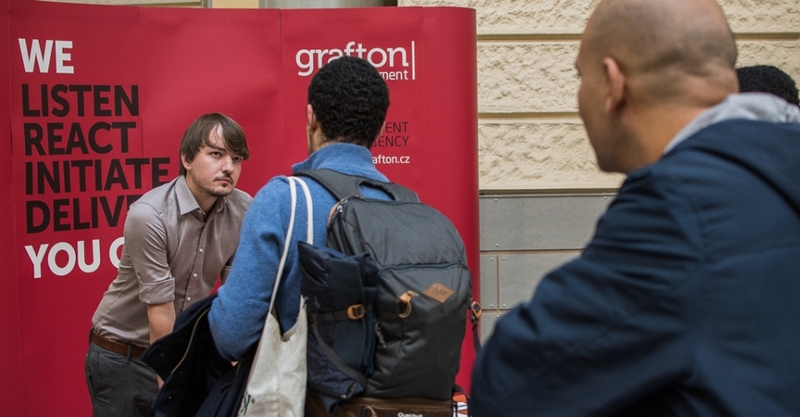 The job-seekers met with exhibitors from 10 international companies in Brno in search of multilingual talent to fill various vacancies. 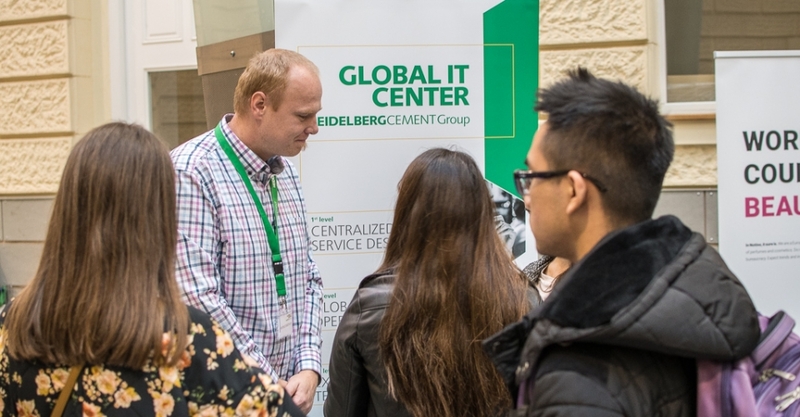 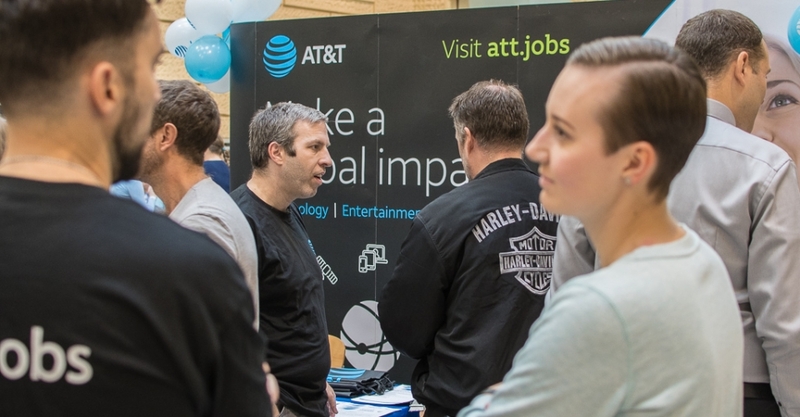 Companies including Zebra Technologies, Amazon, Grafton Recruitment, Gardner Denver, Notino, AT&T, RWS Moravia, Oracle NetSuite, Global IT Center, and Infosys were at the fair looking for employees to fill positions in their departments of IT, Logistics, HR and Recruitment, Marketing, Tech Support, Customer Service, Administration, Accounting and Finance, Sales, Management and many more. 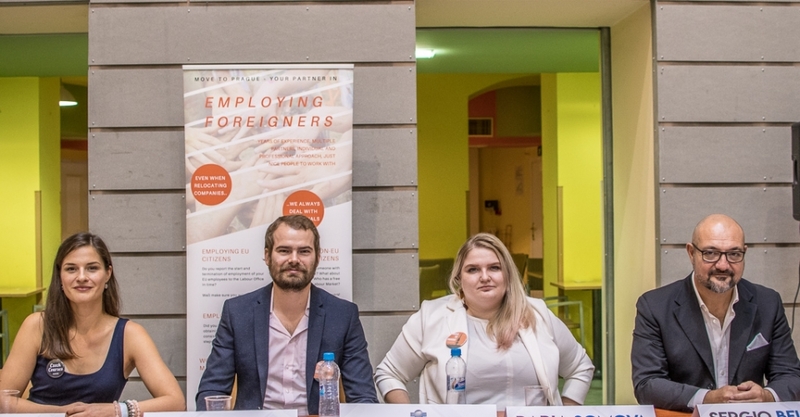 During the Job Fair, a number of interesting and informative presentations and seminars were presented by exhibitors from the international companies and expat agencies. 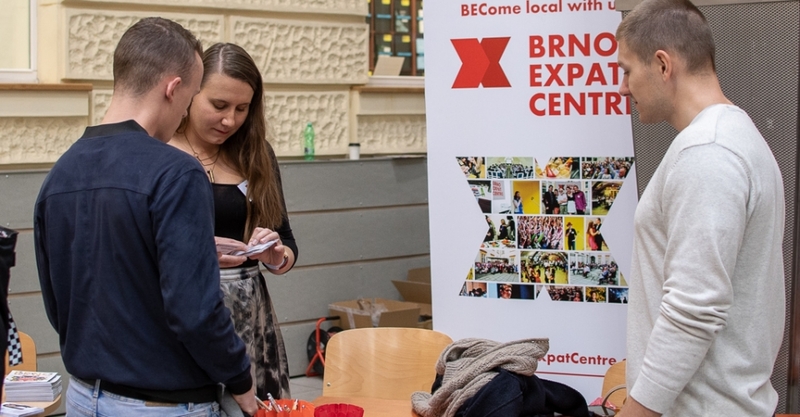 Representatives from Brno Expat Centre and Foreigners Brno were also at the event to provide guidance to expats living in Brno. 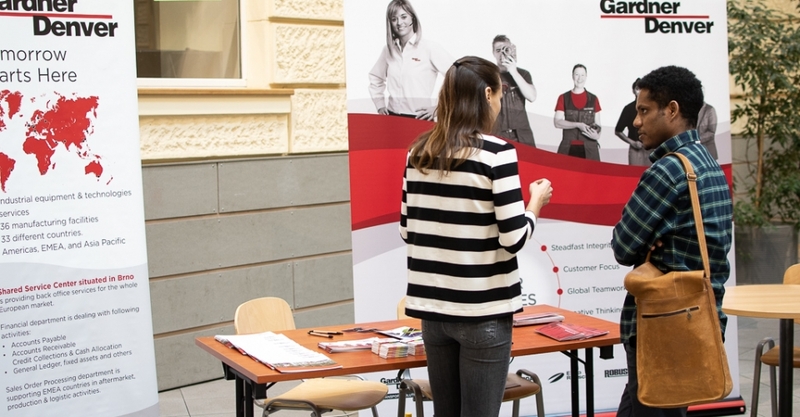 The “mock job interview in Czech” stand by the Czech Course language school, where visitors could test their Czech interview vocabulary, was also an interesting activity at the Job Fair. 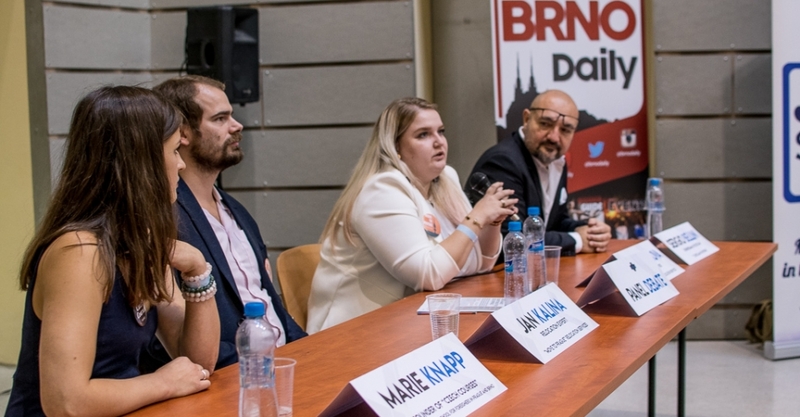 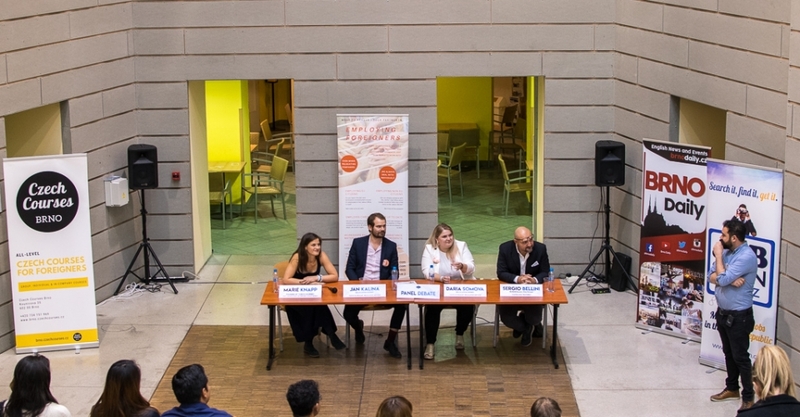 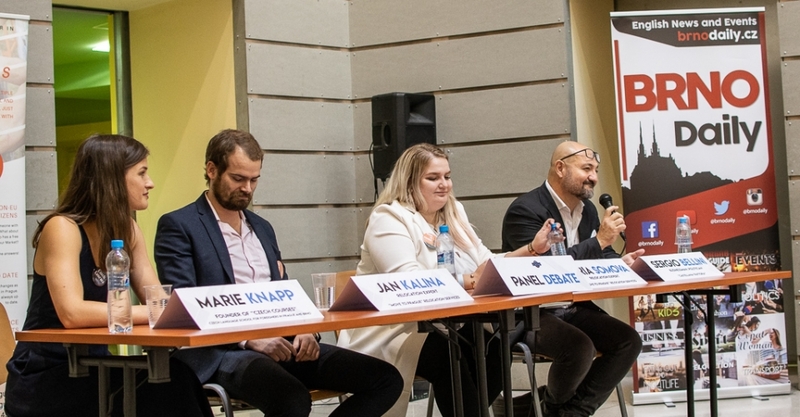 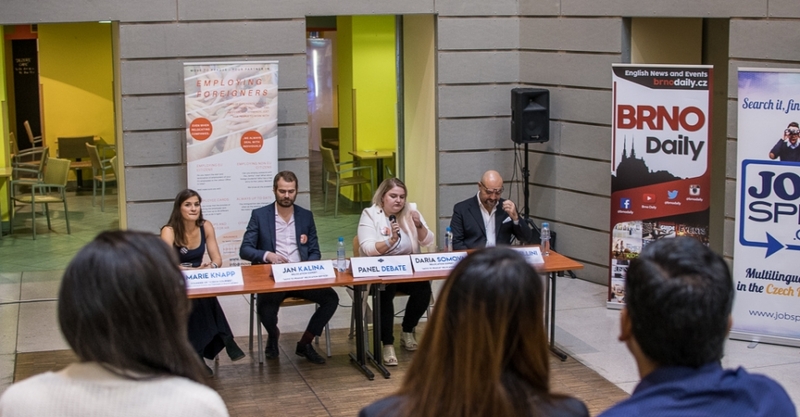 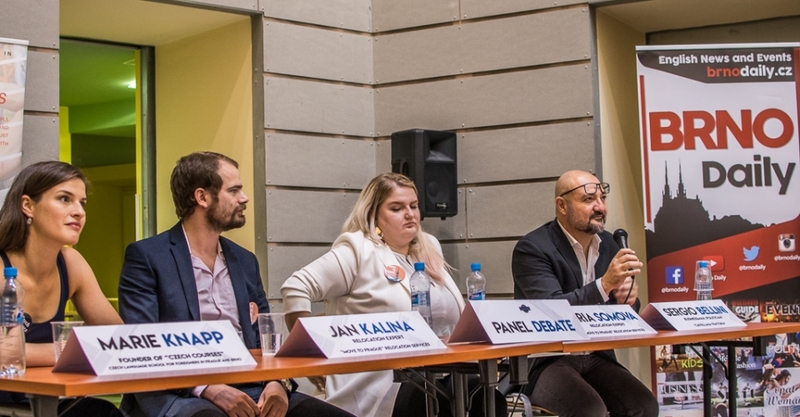 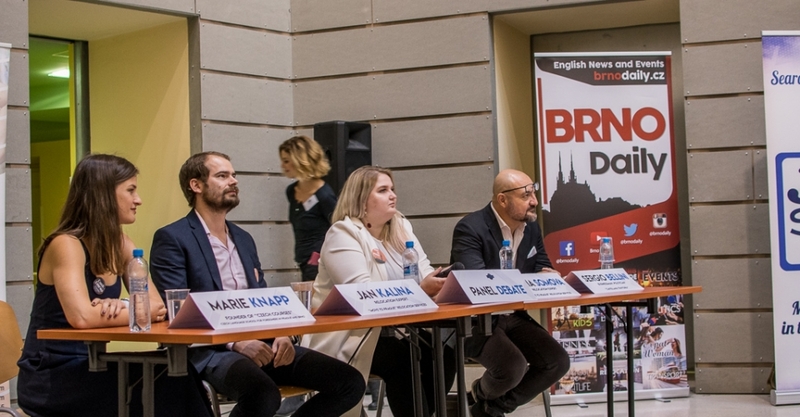 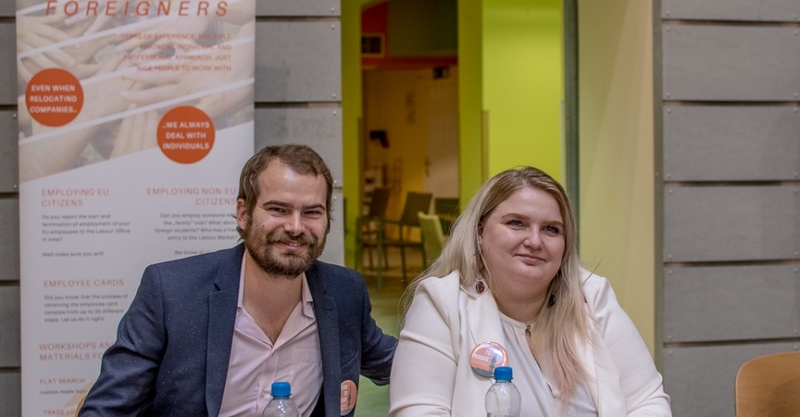 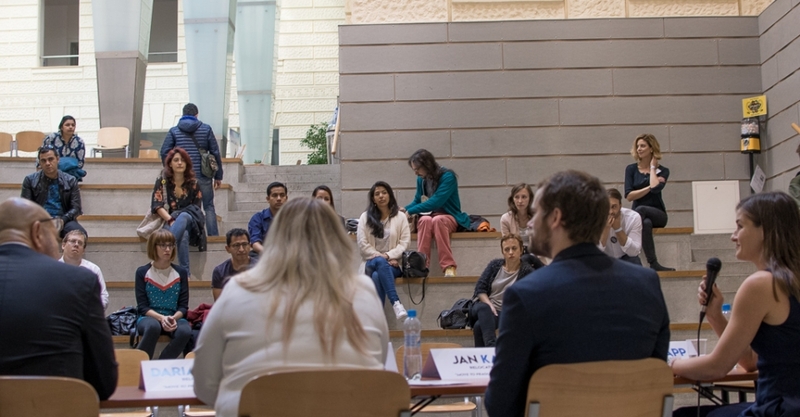 There was also a helpful and informative panel debate about the past, present, and future of expats in the Czech Republic and Brno, in which the panel and the audience exchanged perspectives about their experiences. 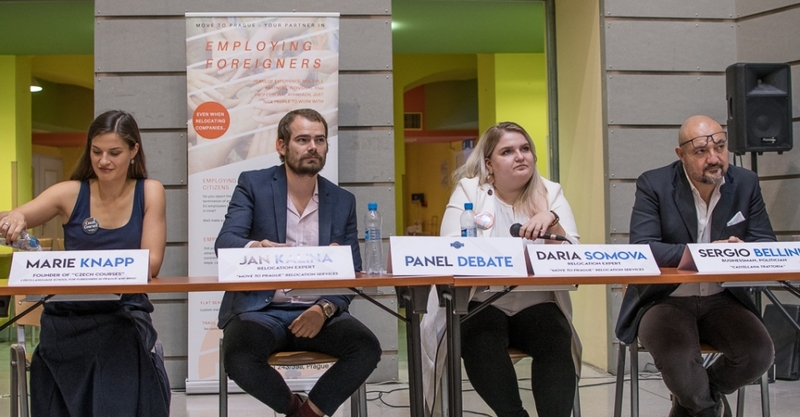 Relocation experts Daria Somova and Jan Kalina from the Move To Prague agency, Italian expat Sergio Bellini, the owner of the “Castellana Trattoria” restaurant in Brno, and Marie Knapp, founder of Czech Courses, discussed the ups and downs of expat life in Brno and the Czech Republic with the audience. 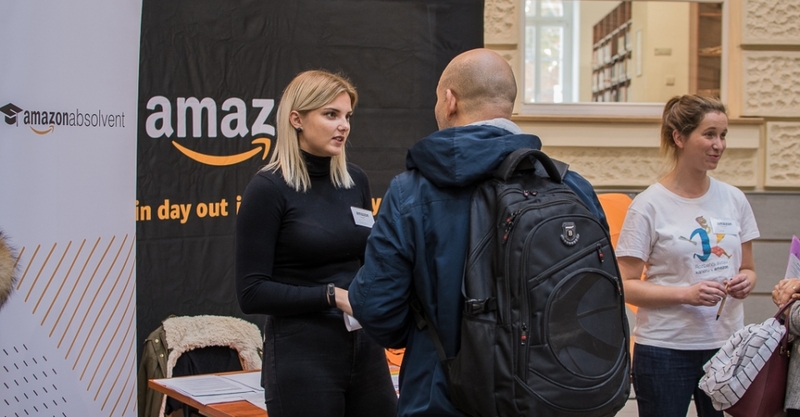 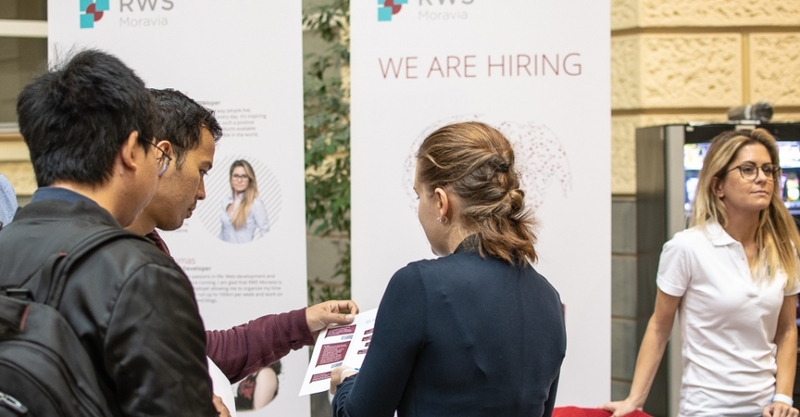 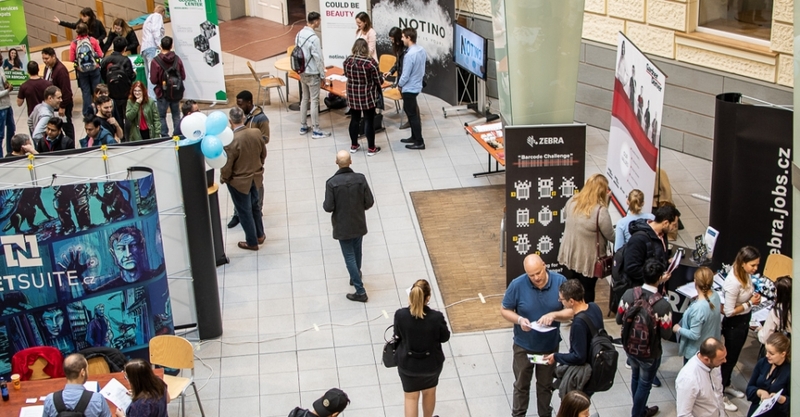 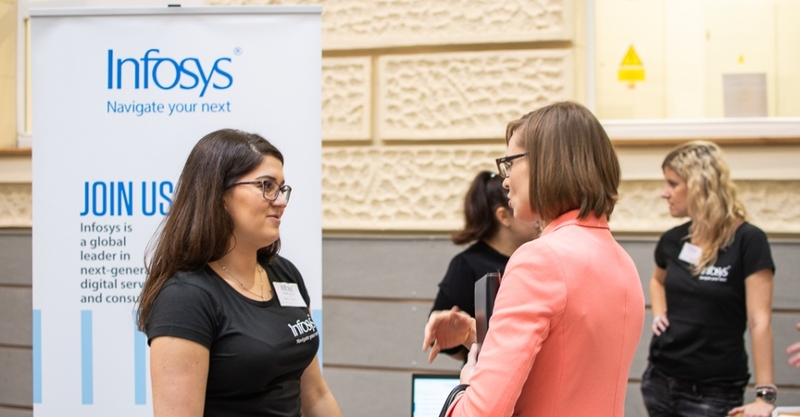 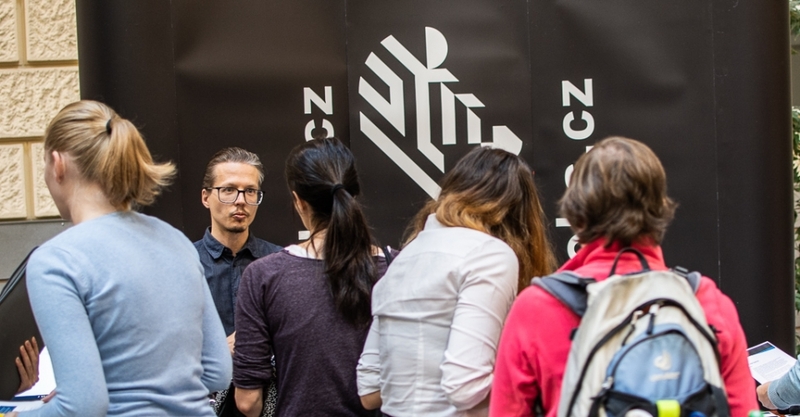 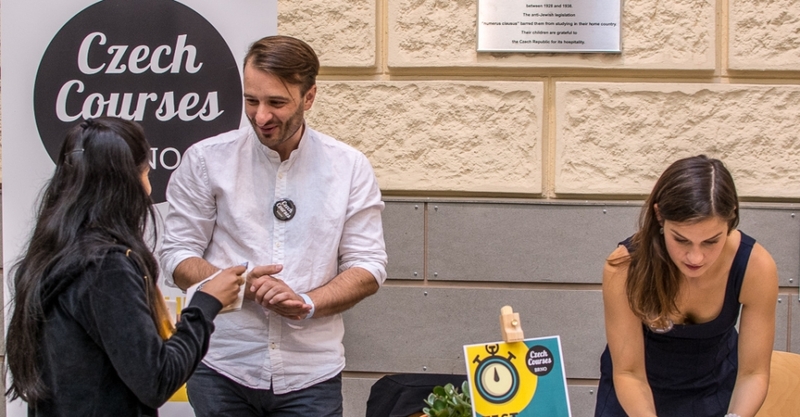 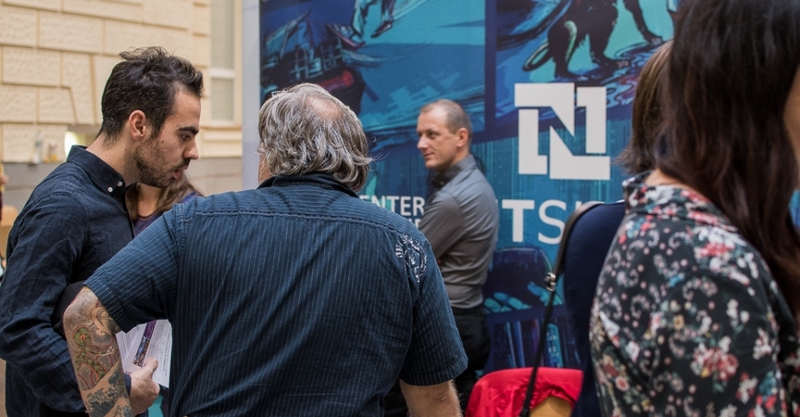 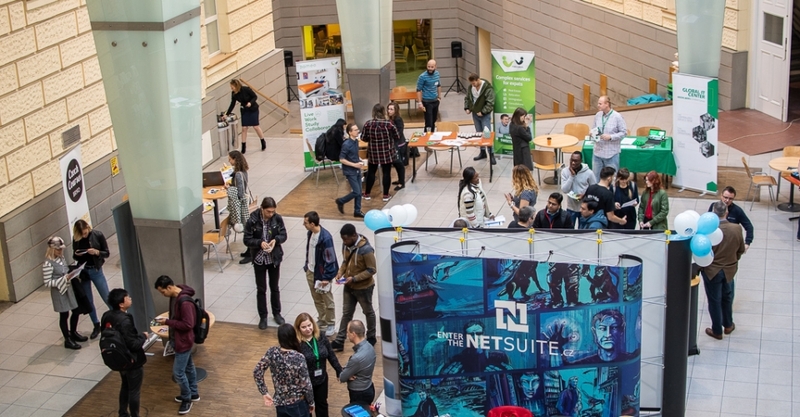 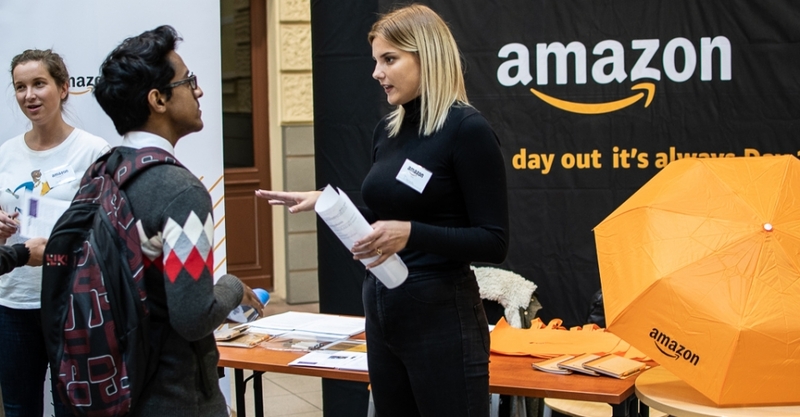 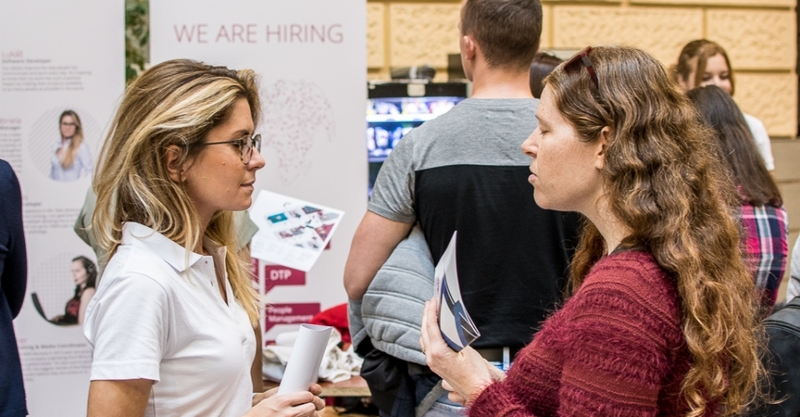 The next job fair in Brno will take place in March 2019. 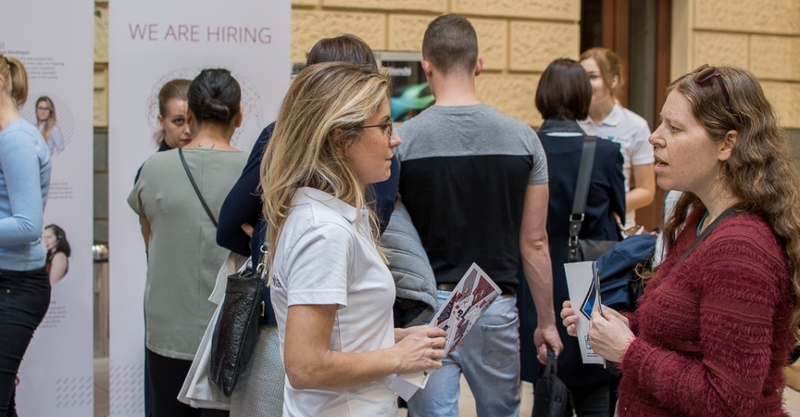 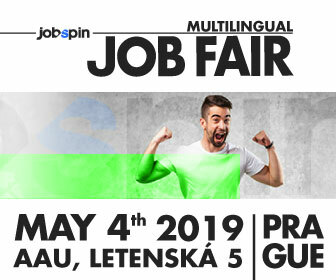 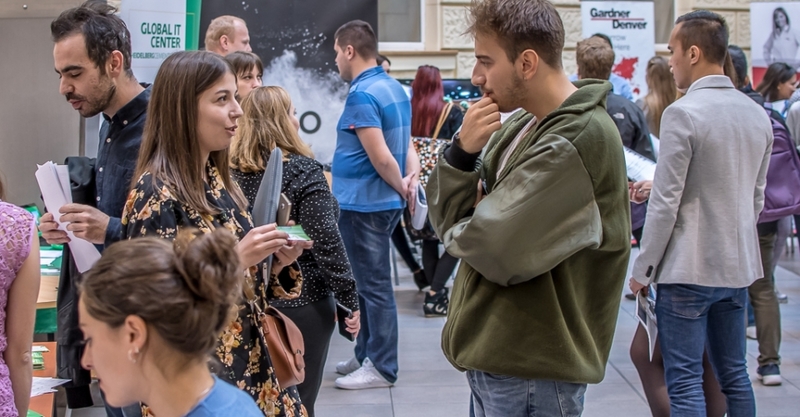 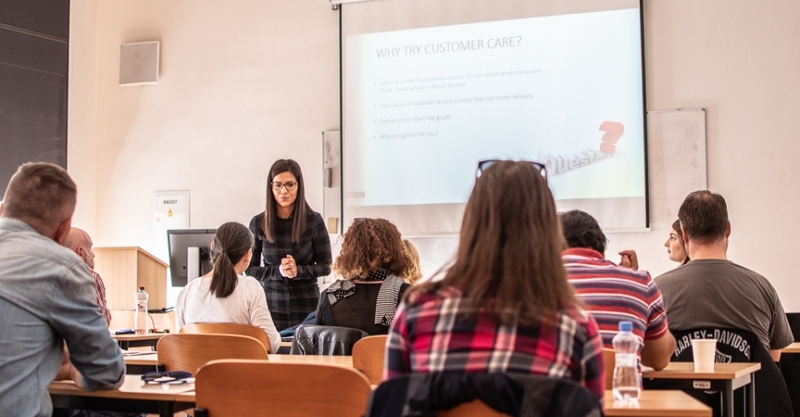 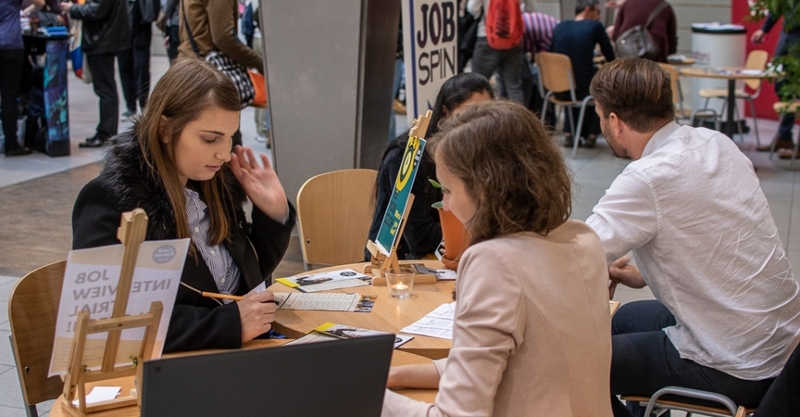 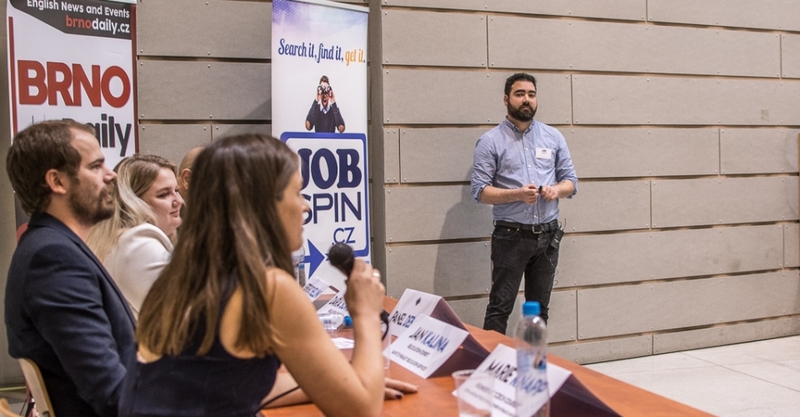 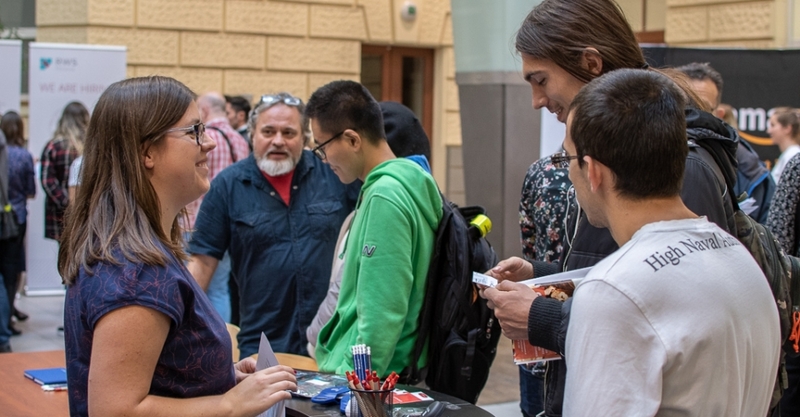 JobSpin Job Fairs are organized every six months in Brno and Prague (see also JobSpin Job Fair in Prague) by JobSpin.cz, an expat job platform featuring job offers without the requirement of fluency in Czech. 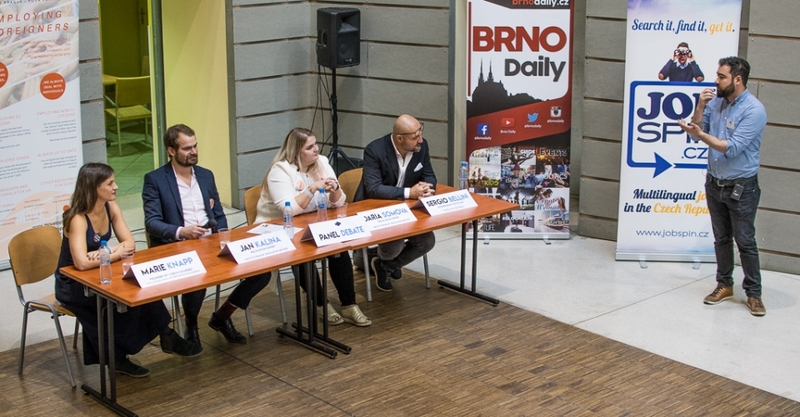 Brno Daily is the media partner of the event.